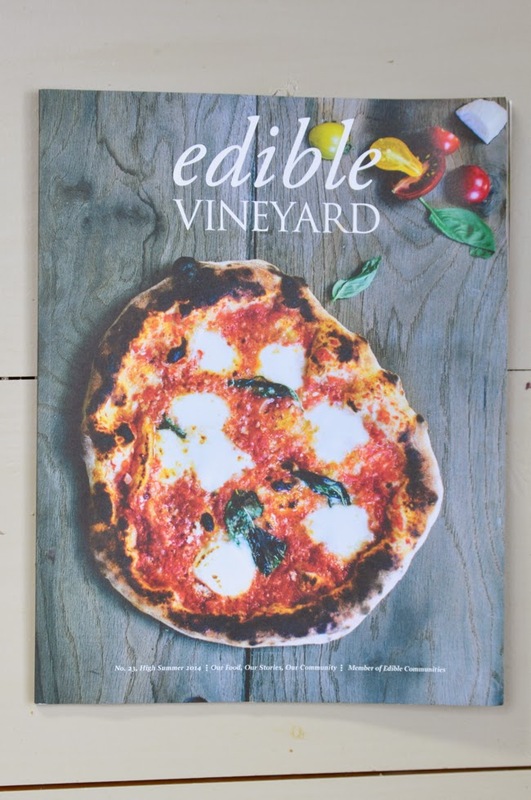 I had the pleasure of writing a cover piece on our homemade Neapolitan-style pizza for Edible Vineyard. Elizabeth Cecil took the amazing photographs. Story and links to all recipes below - enjoy! My husband Nick and I owe a lot to pizza. 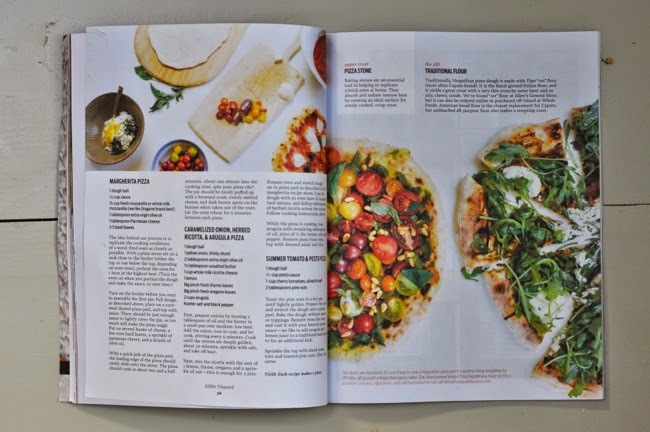 Our own history began with a rubbery, off-tasting store-bought dough that we baked up in his Cape Cod kitchen on our first unofficial date almost a decade ago. That pie was nothing spectacular, but I can still picture the two of us, sunburned and giddy, drinking beers and rolling out dough together, both thinking this is nice. We spent the rest of the night watching back-to-back episodes of the original Japanese Iron Chef. Our shared appreciation for considered food and a mastered technique quickly became obvious, and that first pie just wasn’t going to cut it. As we grew together, so did our pizza expertise. Nick is the perfectionist of the two of us, and when he gets hooked on a project, from building our kitchen addition to crafting our custom knife block, he executes it with obsessive planning and careful precision. Neapolitan pizza became his new thing, sparked by his beloved New York neighborhood pizza place, owned and run by a family from Naples. Nick began reading about classic techniques in bed before he fell asleep at night; researching the exact pizza stone to request for Christmas, Old Stone Oven; and scouring island grocers for the flour he needed, Caputo 00. 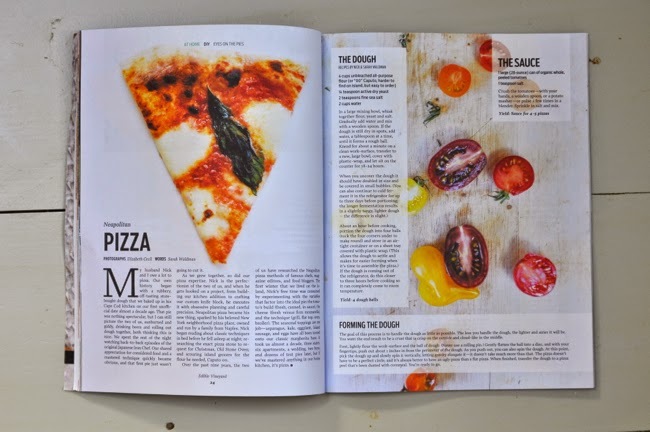 Over the past nine years, the two of us have researched the Neapolitan pizza methods of famous chefs, magazine editors, and food bloggers. The first winter that we lived on the Island, Nick’s free time was consumed by experimenting with the variables that factor into the ideal pie: the tomato’s build (fresh, canned, in sauce), the cheese (fresh versus firm mozzarella), and the technique (grill, flat top, oven, broiler). The seasonal toppings are my job—asparagus, kale, eggplant, Island sausage, and eggs have all been tossed onto our classic margherita base. It took us almost a decade, three states, six apartments, a wedding, two boys, and dozens of test pies later, but if we’ve mastered anything in our home kitchen, it’s pizza. 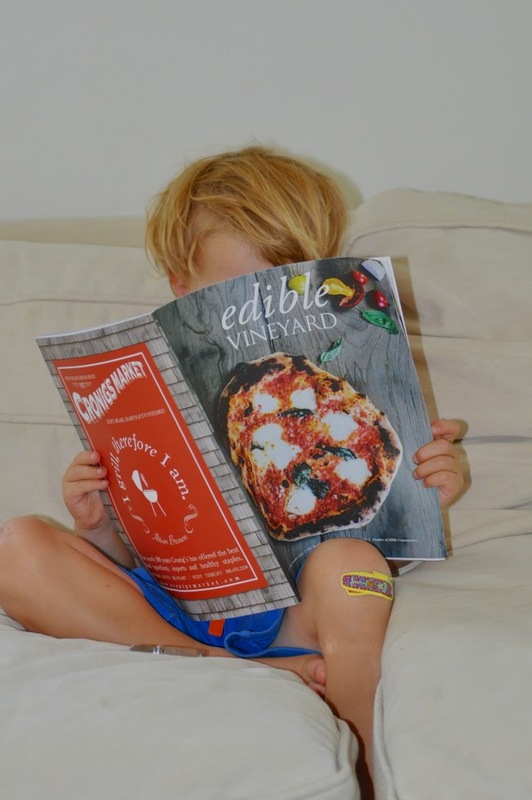 Now, as a young island family, we use our pizza to lure new friends, pre-school families, and off-Island cousins to our home. It’s a meal that’s simple, yet always festive. And, to this day, when I see Nick pull a bubbling pie out of our oven, I have the same thought I did back then—what a catch. Caramelized Onion, Herbed Ricotta & Arugula Pizza. Summer Tomato & Pesto Pizza.